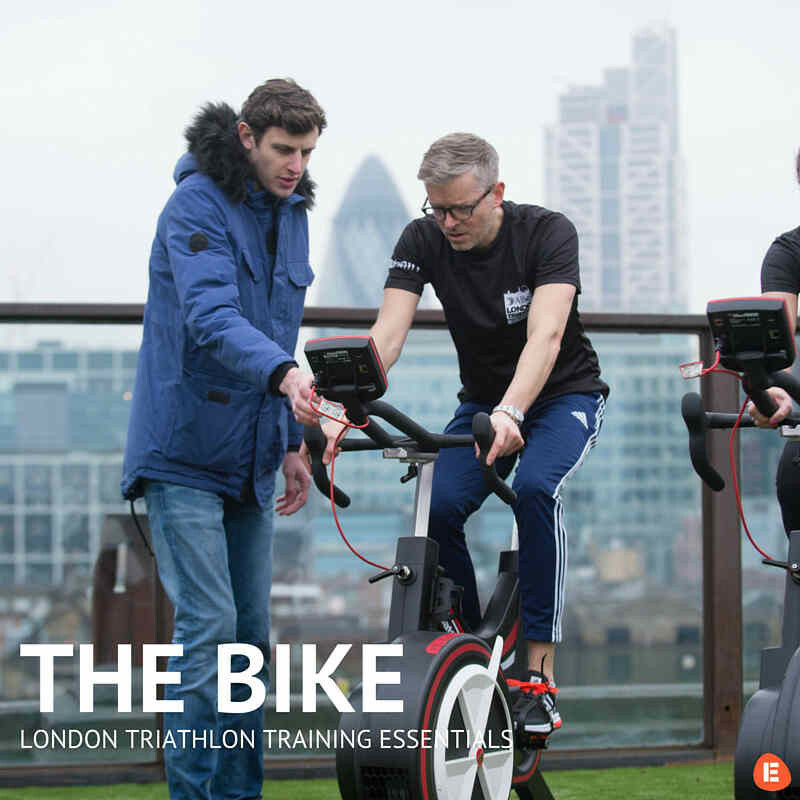 Today we take a look at the second phase of the triathlon, the bike. To do this, we used a piece of equipment known as the Wattbike. For those of you who haven’t come across it before, the Wattbike is made to make you feel like you are riding a real bike and accurately measures over 40 performance parameters to help riders improve their technique and train more effectively. As soon as you sign up for your event, take the opportunity to set yourself some goals. When you’re a first timer, it’s wise to set achievable goals such as ‘I will complete the course in under 2 hours’ rather than putting a focus on rankings and results. It’s also useful at this early stage to look at any specific areas of the course which might be challenging. For example, is there an incline on the bike leg or any rough terrain during the run? Once you’re clear on the challenges you face, it’ll be easier to implement training sessions which help you tackle them. Before you start any training it’s useful to assess your current position. This will give you some baseline figures on which to improve and helps personalise and structure your training. One of the best ways to assess performance is through testing on a Wattbike, as you’ll be able to see your key metrics during and after your test. Simply find a Wattbike in a gym or studio, then complete a test – we recommend the submaximal ramp test for beginners. Once you know your current performance you can identify any gaps between where you are now and where you want to be. Using speed as an example, you may have found that your current average bike speed is 15mph. To help you complete your course within your goal time, perhaps you’d need to increase your speed to 17mph. This 2mph difference is specific and measureable. This is fundamental to the next step, implementing specific training sessions and plans. After identifying your challenges and assessing your performance, you’ll need to start weaving structured training sessions into your week. One of the best ways of doing this is by following a structured training plan, once you’ve completed a block of training, you can measure your metrics again to check how you’re improving. When you have three sports to train for, it’s easy to skew your training to focus on a discipline which you’re not as confident in. However, to successfully complete the course, you need to keep a balance between all three disciplines. Top tip: If you’re finding it difficult to juggle training for three disciplines, consider training on an indoor bike. Training indoors is time efficient as it removes external factors like traffic lights, traffic and weather, meaning you’ll get an intense, effective session every time. Plus, you’ll save time in getting kitted out and cleaning your bike afterwards. If you follow a structured training plan, you’ll usually find at least two rest days each week. It’s important to incorporate these rest days into your week as it will ensure your body has time to rest and recover, meaning you’ll be refreshed and ready to take on your next session. The most important thing to remember is to have fun. Your first triathlon will be tough in parts, but once you’ve completed it, you’ll experience an immense sense of achievement! 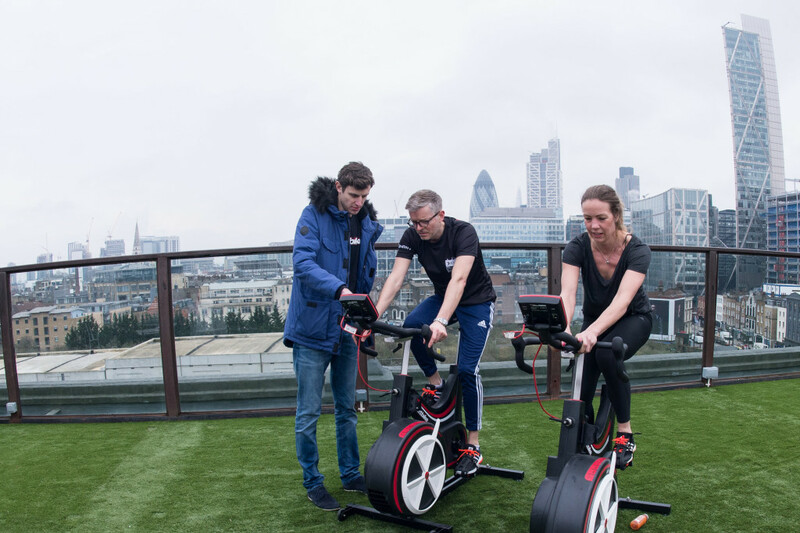 We all know that indoor training is an efficient way of utilising cycling time and is especially useful for busy professionals who may be stuck at work until the sun goes down. But what are the specific benefits of indoor training? Anyone who has trained indoors on a Wattbike will vouch for its ability to become a sweat-fest within a matter of minutes, but why is this? The simple fact is that a session on an indoor bike is constant, there are no stops at traffic lights and no chances to coast downhill. Basically, there is nowhere to hide during an indoor session. Following on from the above point, this constant effort also makes indoor training time efficient. Simply put, you can ride for a shorter amount of time indoors whilst achieving the same effort and output as you would on the road during a longer session. One key benefit of training indoors which can help you make significant gains is the opportunity to focus on pedalling technique. Measuring your pedalling out on the road is almost impossible, but bring things indoors and it becomes a breeze. If you ask a group of cyclists the reason why they ride you are sure to hear the words ‘freedom’, ‘getting outdoors’ or something related to the theme of getting out and enjoying the view. Even with the best tools and training sessions, indoor cycling can’t replicate the feeling you get when you discover a beautiful new cycling route or when you beat your friend on the cafe sprint. Whilst indoor training removes distractions like traffic to give you an efficient ride, it also removes terrain and with it the need to use different muscle groups. Training indoors all the time can result in some muscles being overworked whilst others are underworked. To fully optimise your training, consider riding a few outdoor sessions with varied terrain to ensure all your muscle groups are being used effectively. Finally, there are a few aspects of cycling which you simply can’t learn from training indoors, like how to ride in a group. This is especially important for competitive races like the AJ Bell London Triathlon, without knowing the rules of the road and how to descend within group you could put yourself and your fellow competitors in danger. Both indoor and outdoor training have numerous benefits and we recommend that you include both within your training. 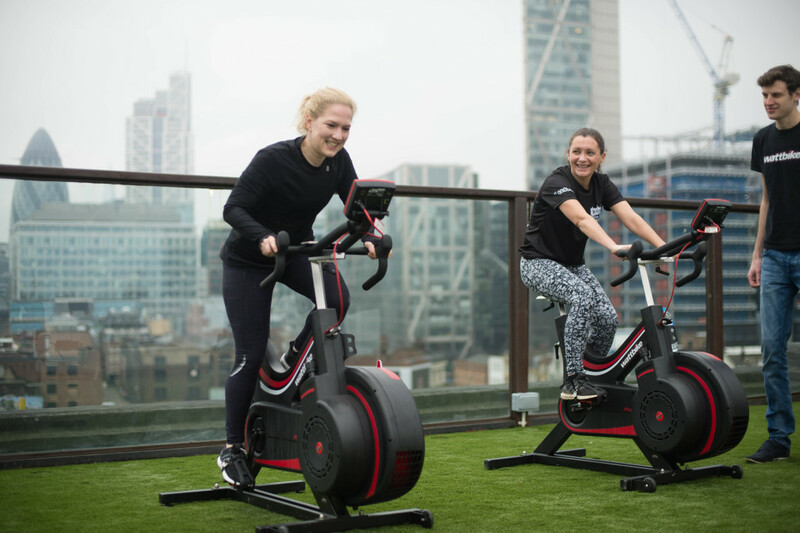 All Wattbike training plans feature a Wattbike session and an equivalent outdoor session, giving you the opportunity to mix up your sessions and still achieve your goals. They have a wealth of information that will help you on your way to glory that can be found here.